I have to confess – my decision to stop blogging here was intentional. Back in February, when I failed to finish the no-spend challenge, I was also trying to get a new blog, CakeBlogging.com, up and running and well… it was just too much. So I stopped writing here and threw what little extra time and energy I had into getting Cake Blogging going. Now, if you happen to read there too, you know that I haven’t fully stayed on schedule posting there either. Running multiple blogs is just plain hard work. Rose Bakes will likely always be my priority and I’ll just do the best I can with my other blogs. Anyway – so why am I writing here tonight? The best answer is – I just decided I wanted to. There are some things going on in our life that I wanted to journal about. We might be buying a house. The most surprising thing (at least for me) is that we might be buying a house. I’m pretty shocked about this possibility. We own our current home free-and-clear. 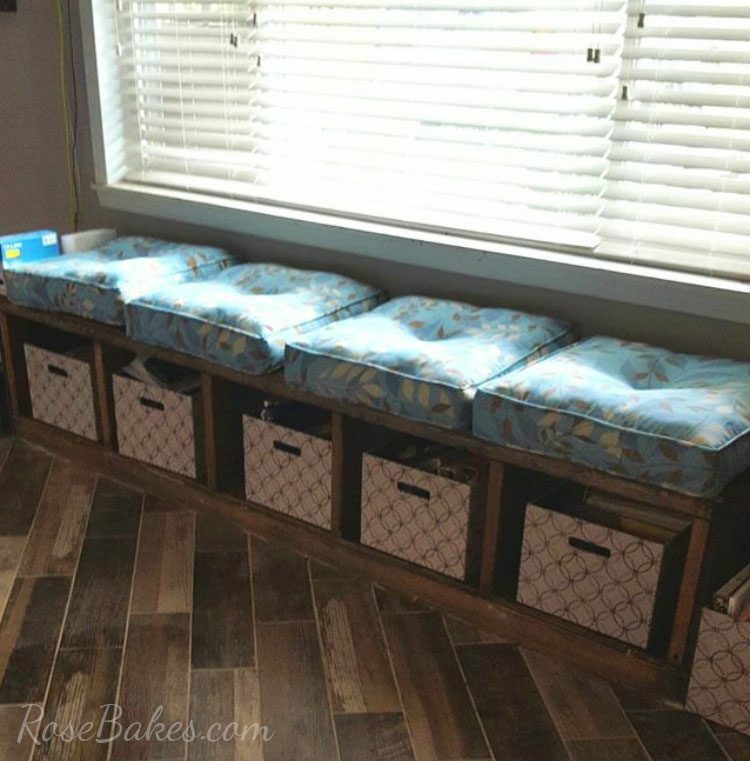 We’ve done a lot of work on this house – new windows, custom blinds, almost all new floors (the tile work above, carpet in the bedrooms, and these paper floors in our living room), completely remodeled kitchen, the custom bench seat my husband built for our homeschooling storage (also in the pic above), the drop-dead-gorgeous ceiling in our family room, and much, much more. We’ve invested a lot of work and money in this house. The thought of leaving all the work we’ve done (yes, we did 99% of the work ourselves) is heartbreaking. The thought of getting another mortgage payment is really heartbreaking. We own this place and paid cash for all of the work. And yet, we really think this might be best. Our house is too small. The short story is… our house is too small for our family. We have 1500 square feet that includes 3 bedrooms and 1 1/2 baths. And there are 8 of us. With 3 teenagers… we just do not have enough room. We have 6 kids in two small bedrooms and we all share one shower/tub. There hasn’t been enough room for a long time, but we’ve made the best of it and it hasn’t been awful. Truth be told, we could continue to “make do” with what we have and nobody would die. My grandparents raised 6 kids in a much smaller house than we have and they lived. I know we could do it. But we have the means to do better, so we’d like to if possible. Our plan has been to do an addition. More than a year ago, we made up our mind and spent a couple of months getting our house ready for an appraisal. We applied and took out a home equity loan to add on a master suite & office. We’ve also been saving money like crazy so we could use the loan as little as possible. But a year later and we haven’t made much progress. We couldn’t find many contractors to come out and even look and the the ones that did, the estimates we got for the addition were much, much higher than we anticipated. Then we decided we’d get the foundation poured and do a lot of the work ourselves. That plan has also stalled. Between the nonstop rain we had for almost a month and contractors who weren’t in any hurry to do the work for us, all we have is a half-finished form for our foundation and nothing else. It’s been disheartning to say the least. Anyway, a couple of weeks ago we decided to go look at a house that is close to here that is on the market. We thought we could make it work for our family. But after the showing, we knew that house wasn’t for us. There were a few reasons why, but mostly it was incredibly overpriced and the listing was very misleading. Even though we were incredibly disappointed with that first home, and initially had no plans to look beyond it, we’ve now realized how much we like the idea of buying a larger home. With the addition going to cost us almost twice what we expected, we’d rather invest that money in an existing home and not have to do all the work. Plus that opens up the possibility of us owning more land (a dream we’ve had for awhile). So… we’re now house hunting. We’ve looked at, considered, and eliminated a couple of possibilites, but we still have hope for some other homes. Our community is very rural and we’re really picky about where we’ll live (must be close to family and still not too far for my husband to drive to work). There aren’t a lot of houses to choose from, but we’re leaning on God for guidance that we’ll choose the right one. We’re running numbers for down payments and loan rates and gosh… there’s so much to consider. We’re also mulling over the possibilites with our current home. Keep it and rent it out for extra income or sell it and use the money to quickly pay down our next mortgage?! Decisions, decisions, decisions. We’d appreciate your prayers for wisdom. I’ll try to keep you updated. 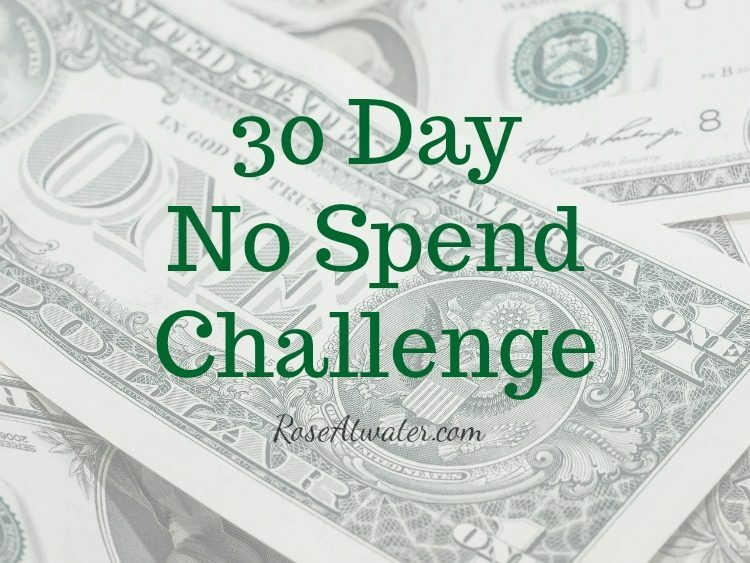 We’re doing another no-spend challenge. Do I dare to even say I’ll blog about it? I’ll say this… I’ll try. Our freezers are overflowing and in the past two weeks, we dramatically blew our “eat out” budget. There were circumstances that led to this that I probably wouldn’t have changed if I could, but gosh… when I saw the numbers added up, it made me sick. While we’ve always been budget-conscious, I’m always looking for ways to do better and this book has really inspired me. That quote especially has been running through my head over and over again. We waste far too much… everything. And I’m not just talking my family – I’m talking about Americans in general. While looking for something in the refrigerator today, I realized that we had several things in there that needed throwing out. It made me sad – and determined. I want to do better about using up the things we have and not wasting so much. So today we made a snap decision to do another no-spend challenge. From today, September 10, until October 10, we’re challenging ourselves to not spend grocery money except for fresh bread, dairy (eggs, milk & cheese mostly), and fresh produce (fruit, lettuce for salads, etc.). We’re off to a good start – we didn’t spend any money today 😉 If you’re local and you see me in the grocery store, remind me to not buy stuff… haha! While this is not related to our house hunting adventure, having an empty freezer will be an added bonus if we end up moving! I may or may not keep up with everything we eat but I’d like to try. Today we ate cereal & fruit for breakfast, leftovers for lunch, and I made Cajun Shrimp & Bacon Alfredo for supper. We have tons of pasta in the pantry, we had shrimp in the freezer and the bacon was getting close to expiring in the frig so I wanted to use it up! In addition to groceries, I really want to cut out all spending that is not an absolute need. I plan to journal about that as well here on the blog. I have a ’66 Mustang. I’ve wanted to write about this for awhile, but never slowed down to do it. So this is not new news, its’ something worth sharing. 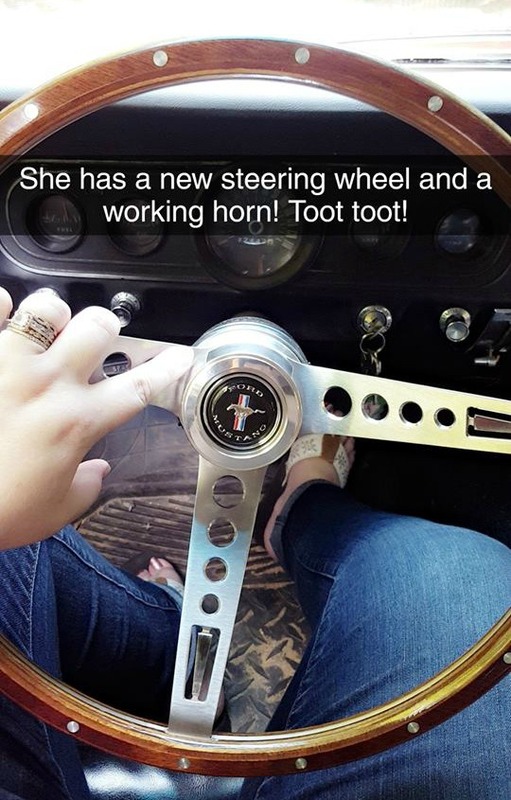 Back in May, my husband bought me a Candy Apple Red 1966 Ford Mustang. He and I are both Mustang-lovers and this was a dream come true for us. He has owned a 1967 Convertible Mustang since our dating days but it’s not running (and hasn’t for a long, long time). We planned to create a “Mustang Account” to save up and restore his Mustang, but when he found this sweet red one for sale at an unbelievable price, he decided we had to have it. As I mentioned above, we’ve been saving money like crazy, so we had the money in savings to pay cash. Richy almost never splurges on anything, or gets this excited about anything… so I didn’t hesitate for even a minute when he came home with his heart set on buying it. And then he tells me it’s mine – because I’ve always wanted a red Mustang! This husband of mine still makes me swoon! It’s been too hot here in Mississippi to drive it often (hello – no AC!! ), but we try to crank it up at least weekly and gosh… I love this car! While it’s in great shape, there are some cosmetic issues and a few things we’d like to update/repair. We don’t have money set aside for this right now, so it won’t happen fast, but this week he made one small change… a new steering wheel and finally, the horn works!! I wish I had gotten a “before” picture. I was so excited, I drove it to town on Saturday to get gas and a few groceries 🙂 He also changed out the interior door panels but I didn’t get before/after pics of that either. Maybe I’ll try to document things like that in the future. I agree it’s hard enough to run one blog! That is tough to live with so many in 1500 sq feet, and beautiful car! Good luck in expanding, it’s hard. Thanks for the update after so long. 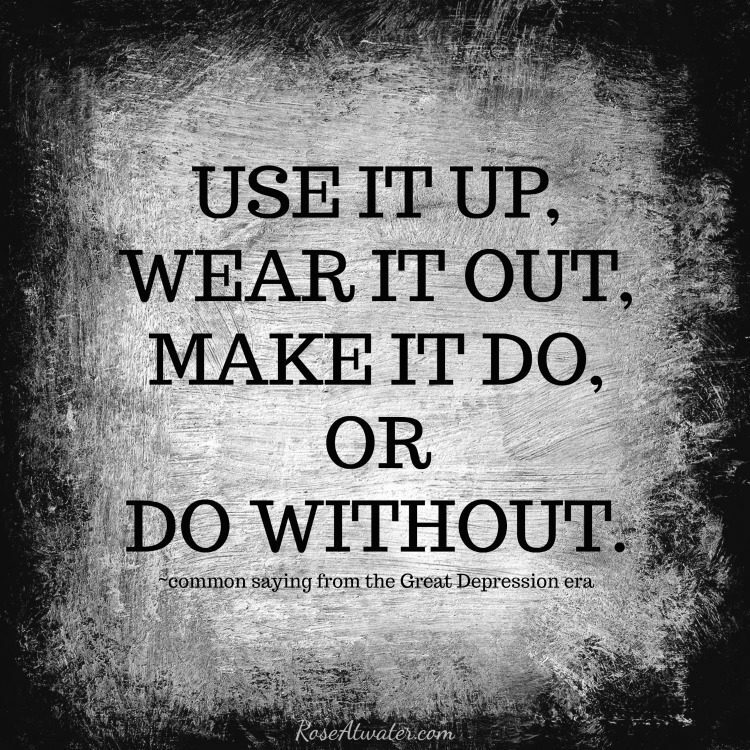 Nice read Rose and I love the saying USE IT UP, WEAR IT OUT, MAKE IT DO OR DO WITHOUT! Nice car even though I’m a Chevy girl and girl I would go nuts living in such a small space with so many. That said you do what you gotta do and living debit free is a dream we are working hard towards. LOL – we’ve never had a bigger space so I guess it hasn’t been a big deal. At least until the kids starting hitting their teens and it’s definitely become more of an issue.